Selected for the Drawing Room shop for the exhibition Everything we do is music. John Cage, a leading figure of the American musical avant-garde and lecturer and writer extraordinary, dedicated himself to the search for new horizons in musical composition. 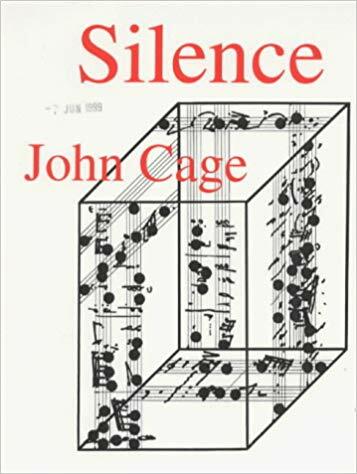 Silence is a collection of some of the essays and lectures that have made John Cage's name synonymous with all that is unpredictable and exciting in contemporary miusic. Outrageous they may be, but to anyone who is receptive to new ideas, to fresh and original ways of looking at and listening to things, they are a mine of fascinating discovery. And, as Cage fans will expect, the book also contains a wealth of handy information on collecting mushrooms, fishing through ice, and so on, as well as many anecdotes and Zen-type stories which illustrate Cage's exuberant artistic pre-occupations.